Buying a home is a dream come true for every middle class family. Just like everyone else, after marriage and shifting from one rented home to other, we decided to look for a house of our own. The first thing to decide was place. We were living in Bangalore then and both of us had our job there, but our parents and extended family was in Pune so we were in two minds about buying a home in Bangalore or Pune. I am a very practical person when it comes to finances and living choices in general. Comfort and proper use of investment is extremely important for me. So I was clear that if I buy a house for investment, then it needs to earn me rent and if not then I should be staying in it and utilizing the invested amount. 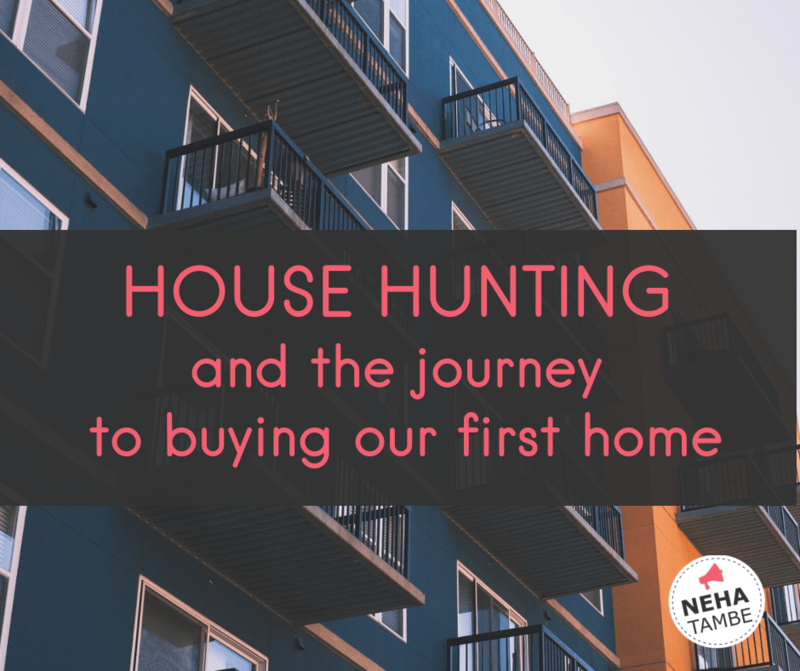 As this was the first house hunting experience for both of us, we discussed this a lot with elders, friends who recently brought homes and online real estate sites. We even compared the average rent received in both the cities. After studying the rent received, expected expenses to be incurred and possible appreciation in the coming years, we decided to buy a house in Bangalore. I know this doesn’t sound very romantic, but this was practical and this experience taught us a lot of things when it comes to house hunting and background information collection. We were clear that we will be buying a home in our budget, but it also needed to be in a sensible location. We chose a home close to workplace as we wanted minimal commute time. We were also looking to start family, so we wanted a locality that was residential, child-friendly with pre-schools, gardens, basic shopping needs available close by. I like walking, so I wanted to stay away from highways, loud busy streets etc. My parents had to undergo terrible stress and trauma during their home possession. Builder, his dealings and repute hence was extremely important for us. I had seen the pain, the suffering from close quarters and was extra cautious when it came to selecting the builder. We even took a lawyer’s help to cross check the docs before signing the dotted line. Elders experience, online reads about house-hunting and advice from experts helped us in zeroing in on our dream home. It was a home which was made with a lot of thought, planning and love. How was your house hunting experience? Had you thought on similar lines? This was a post written on prompt by Amrita and Tina for Thankful Thursday’s, however I missed the deadline. Posting it for today. I am participating in the Write Tribe Problogger Challenge this October. Loved the objectivity and rational approach of house hunting. It should be used as a ready reckoner for house hunting! Your post brings back memories of our own house hunting times. I was in search for a perfect home in Hyderabad for four years armed with a list of requirements.When I finally zeroed on , my hubby changed not the area of search but the state itself.So, again the whole process started in Chennai.Finally, I managed to coerce him into buying a home not in a gated community as it was to be given on rent as an investment. To cut a long story short – by God’s grace the property rate has appreciated in the last four years since we bought our home! We were not house hunting, but our home was getting major rennovations done and that is so taxing. You have shared very important points, Neha. A great list for anyone who is looking at buying a home. These are the most crucial pointers to search for a property – a house. We are in the process of this hence can relate to it. With every twist n turn the dynamics change in our country, so is with the house buyers. Great pointers. We bought our flat after looking at all the factors. Thankfully, we have had a good experience on all fronts and didnt face any hassle. Now a days, checking the reputation of builder is really important. Good points there. Excellent tips to buy the first home.Agree with all of them. Buying a home is a real big decision Neha. And you have done it so efficiently. Hard earned money should never be wasted due to hurriedly taken decisions. You have mentioned many important points. It’s really so exhaustive to hunt a new home. Yes and coupled with the fact that its a big investment, it becomes stressful. Yes, getting possession is crucial part in House hunting process. 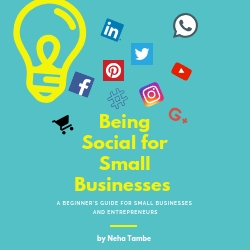 Neha you have very well covered all the angels on this topic. Thanks Sidra, true a new country is a lot to take in.